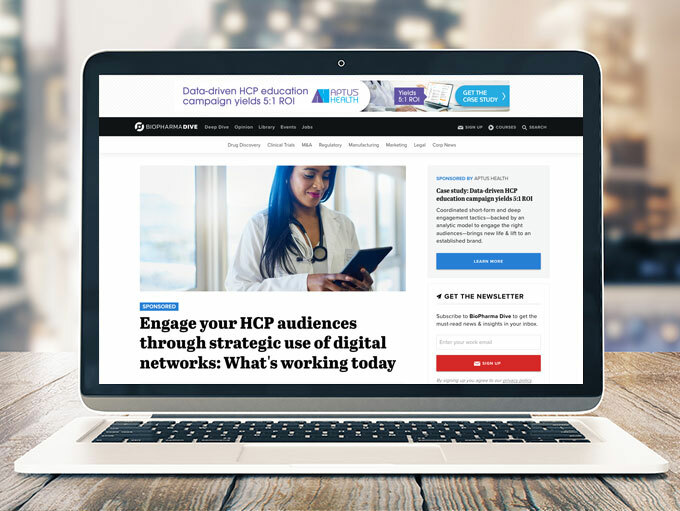 According to the recent Taking the Pulse® 2018 study by DRG Digital/Manhattan Research, HCP websites — independent digital networks that provide curated news and educational content tailored to physicians — are a preferred destination for HCPs looking for the information they need to support their practices. The study found that HCP websites continue to be preferred over "owned" pharma channels such as pharma websites, apps, and reps. This includes websites like Univadis, a global digital destination for HCPs provided by Aptus Health. That’s not surprising, says Stephen Smith, VP of Global Content Strategy at Aptus Health. Smith and his team at Aptus have spent years learning about what kind of information physicians need, as well as the best ways to present that information so it helps physicians stay current in their fields and, potentially, changes how they practice medicine. “We focus on that need-to know, practice-changing one percent. We dig into the article, deconstruct it, and present it in the way that physicians read articles,” says Smith.